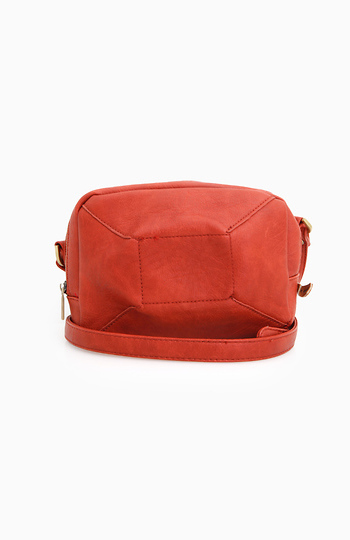 Faux leather shoulder bag with adjustable strap. Seamed detail on front. Main zippered closure. 3 interior pockets (1 zippered, 2 open). Striped lining.